If my mom knew what i did, or rather what i didn’t do, she’d tell me, “Colleen, I taught you better than that!” And really she did. So what is it exactly that she wouldn’t be thrilled about, you ask? It’s the fact that I currently look like a tomato. 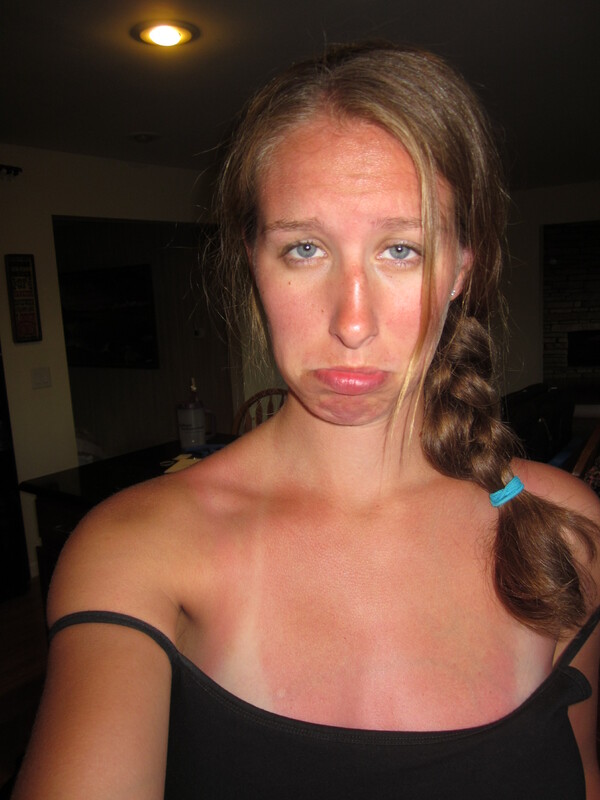 Yup, I got burnt today while at the pool. Here is my pitiful attempt at taking a picture to show you the burn. It looks worse the lower my shirt goes but I’m not ready to bare it all to you, no matter how much I love you. 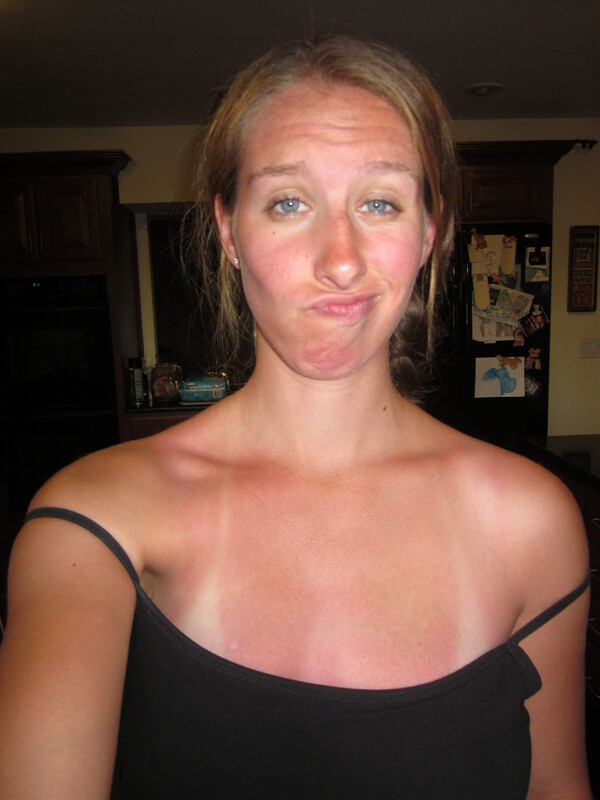 Please note that those soon-to-be tan lines didn’t exist before today. I’m so photogenic, aren’t I? In case you’re wondering, I was a good mommy myself and my kids were thoroughly coated in sunblock and show no signs of negligence. I count that as a win. …In an effort to get out of the stuffy and stinky family changing room at the pool I half-assed sprayed myself with sunscreen while I still had clothes on and forgot to go back and reapply once I was in my suit. As it turns out, my mental capacities aren’t adequate enough to properly care for myself while juggling 3 kids at a public pool. It seems I still need my mommy, at least to sunscreen my back. In the event my mommy can’t chaperone me everywhere in the future, tonight Lilly offered to spray me down next time. I can’t wait to see what design my sunburn takes with her “help”. Then she told me she would scratch it for me in the morning. OUCH! is all I could think. I had to kindly declined that offer and explain why. Girlfriend obviously has never been burnt before and that”s the way it’ll stay, at least on my watch! 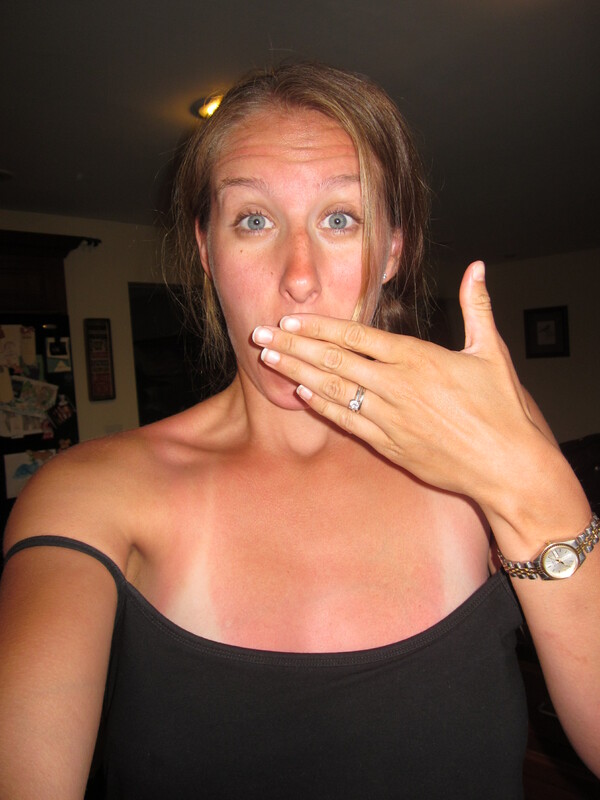 Have fun this summer and, mommies, be sure to wear sunscreen!